Peter Coombs took on the role of Club President ahead of the 2015/16 season, having been approached for the position by senior Club members following the retirement of the Club’s 10th President, Adam Seaward. On the back of what was an increasingly turbulent period for the Club, the need for an immediate and major overhaul was critical, and Coombs, together with an entirely new Committee, quickly got to work to initiate change for the better. Since that period, the Club has excelled, reaching arguably its greatest strength off the field on the back of some superhuman efforts as we surge towards our one hundredth anniversary. The 2015/16 season saw a major focus on the rebranding and direction of the Club, with a drop in numbers on the social side during the two seasons previous proving to be a major determinant as to why the Spartans were not in the strongest of positions, making this new approach of the utmost importance. The seasons of 2013/14 and 2014/15 were tumultuous to say the least. Two Presidents in two seasons meant that things were not working, and by the time Coombs took the reigns in 2015, there had been a total of four different leaders since the retirement of the Club’s eighth President John Ipsen in early 2014. 1.4 3rd Grade (SMCA 5th Grade) – PREMIERS! 2 2016/2017 Season – A President Returns! Peter Coombs (below) took on the role two years following Ipsen’s retirement, and it quickly became apparent how much work needed to be done. Additionally, there were those who were tiring of the rotating doors of presidents, and in fact, until 2014, the Club had only a total of eight leaders in its 96 years, meaning there was the added pressure to ensure the Spartans returned to its glory days. President Peter Coombs speaking at the 2016 Club Windup. The era that followed John’s retirement was short lived, with the years of 2014 and 2015 seeing two Presidents, neither of whom achieved a second year in the position. The excitement for this new era had dwindled, and so too did the numbers in patrons’ involvement at the Club. Numbers on Thursday and Saturday nights fell and the Club bore the brunt of this at a financial level. Such was the extent of the Club’s financial woes, Life Members were asked in 2015 to make pledges for donations to simply keep the Club afloat. As such, senior figures within the Club realised the need to form a new plan, one with longevity, going back to basics in order to ensure the future wellbeing of the Leeming Spartan Cricket Club. They approached Peter Coombs in the months leading up to the 2015 Annual General Meeting, the incumbent President Adam Seaward having already made known plans to step down due to increasing work and family commitments. It was noted that an older head was pivotal for the role, Seaward himself was the youngest person to hold the position in the Club’s history. Coombs, in his fifties, was a relatively new face at Leeming Spartan, having only come down in 2013 to play in the same side as his two sons. He was quickly appointed Captain of the One Day ‘E’ side for the 2013/14 season after being recognised by the Club’s captain and coach at the time, Mark Atkinson. Coombs himself had captained Mark at the Perth Cricket Club, and had represented Perth in over 400 games in the WACA Grade competitions, mostly at second and first eleven level. All seven living Presidents of the Leeming Spartan Cricket Club, pictured together at the clubhouse in 2017. Peter Coombs (11th President), Peter Dama (6th President), Brian Waterer (5th President), John Ipsen (8th President), Peter Read (7th President), Adam Seaward (10th President), and Shayne Hersey (9th President). With the matter of leader now seemingly resolved, it was left to the new Committee of twelve (eleven of whom had not been in the role in the previous season) to resurrect the Club. With an eye very much on our financials, the new leaders were also required to start from scratch, gain sponsors, improve social attendances, performances, and professionalism as quickly as possible. Incredibly, they did just that, and the 2015/16 season served as one of the most memorable on record. Dramatic improvements in attendance, more social events, this new website, expanded media and communications, upgrades to the clubhouse and promoting loyalty and mateship to all members are just some of the ways this was achieved. With an increased professionalism that once again made the Leeming Spartan Cricket Club the envy of the competition, the woes of the previous seasons were long forgotten, and the Club entered its next phase well on the march towards its one hundredth anniversary. 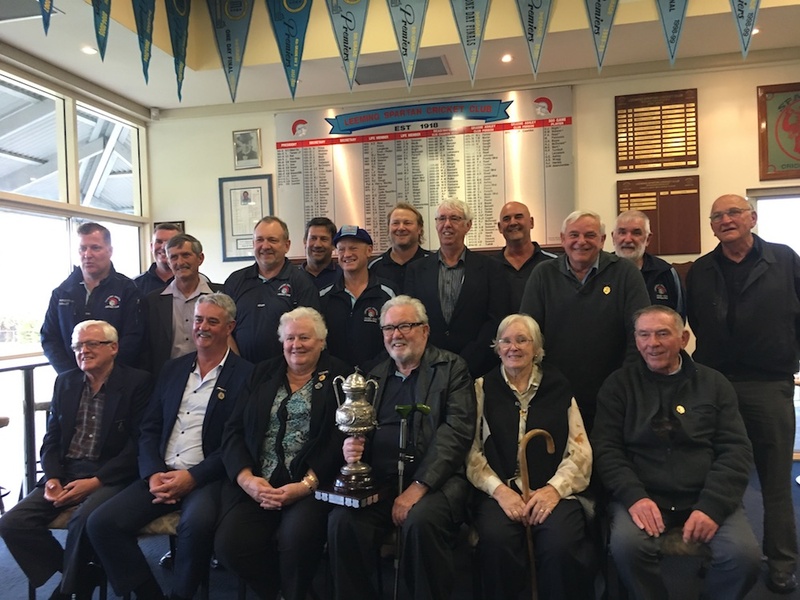 Spartan Life Members pictured in July 2017, with our newly refurbished Premiership Trophy from 1922, which was the first in the Club’s history. 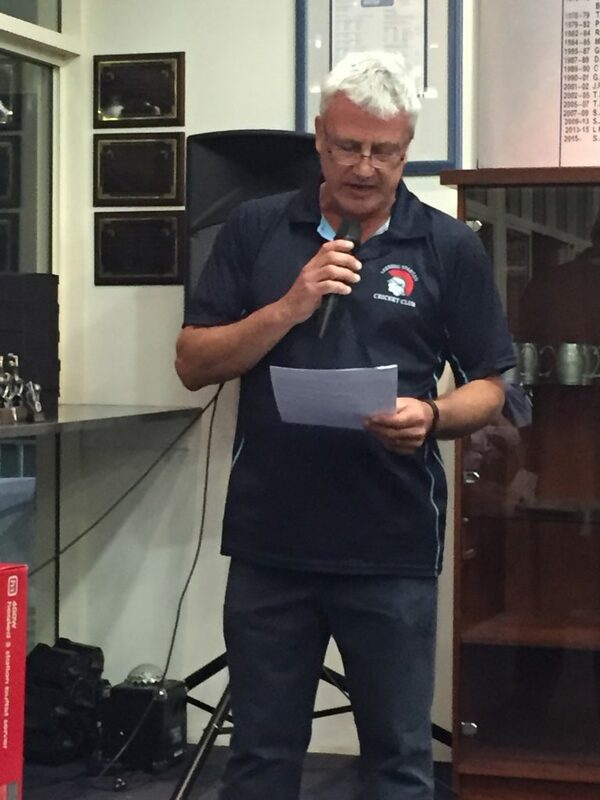 Peter Coombs took on the role of President in 2015, spearheading a resurgence of the Leeming Spartan Cricket Club as we headed towards our 100th anniversary. Peter Coombs took over as President after incumbent Adam Seaward stood down due to work and family commitments. 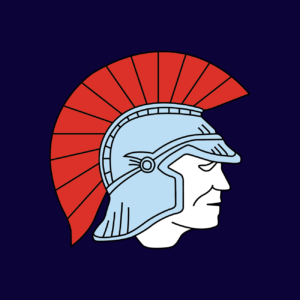 It is well known that the Club was struggling financially at the time, and Coombs was personally approached for the role by senior Leeming Spartan figures with the priority of “saving the Spartans”. Leeming Spartan had been slipping off the field for some years now, and there were very real concerns that the Club would not reach its one-hundredth birthday provided there wasn’t serious intervention. Having had a very stable leadership situation with only eight Presidents in ninety-five years, the Club had now had its fourth leader in as many seasons. The season itself was an enormously successful one, highlighted by almost unheard of levels of commitment from the governing board. Following the Annual General Meeting in 2015, the season began less than a month later with the first of a number of extremely popular WinterT20‘s, orchestrated by Daniel Coombs and Glenn Hack. A major financial boost for the Club at a time when little funds are typically acquired was a pivotal initiative by the Committee. Endless Bunnings Sausage Sizzle fundraisers, two major season raffles, deals from new suppliers, external functions, and endless discussion on how to raise funds proved invaluable. The Executive also acquired a number of highly influential sponsors, more than in any season previous, including a Platinum Sponsor in Crystal Finance and a number of new Gold Sponsors. 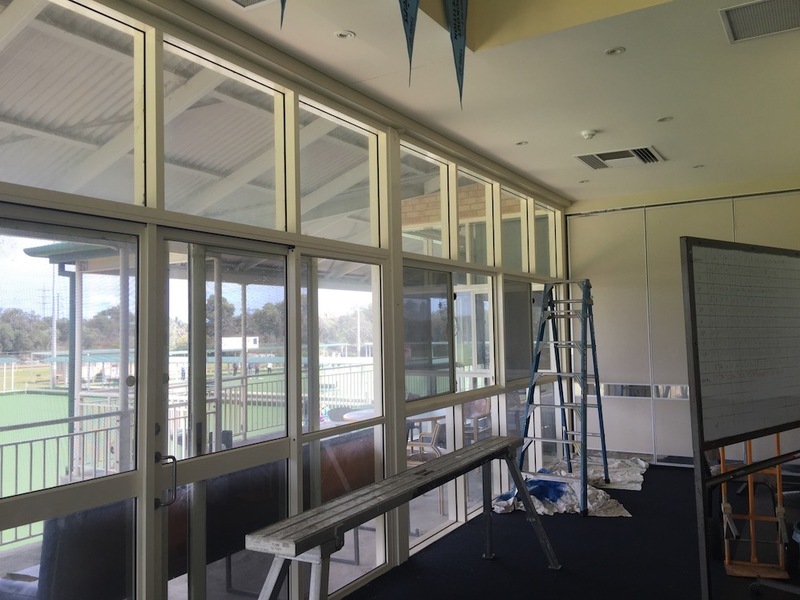 Such was the extent of the improvements in the Club’s financial position, the clubhouse itself was renovated extensively. 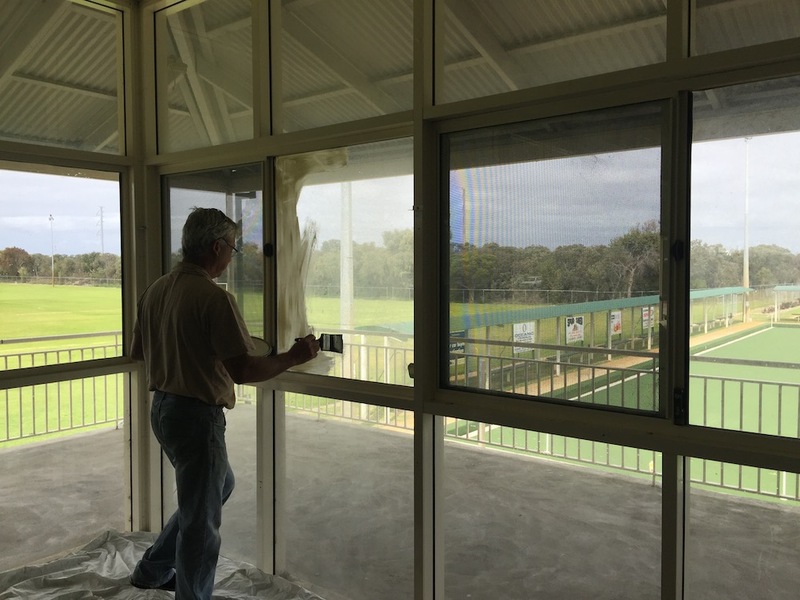 A fantastic new honour wall was built facing the Leeming Bowling Club green, which housed a variety of new honour boards, an incredible new jarrah trophy cabinet, and the revamped Premiership Photos. A new bar table overlooking the field was also installed, and quickly proved to be a hugely popular addition. 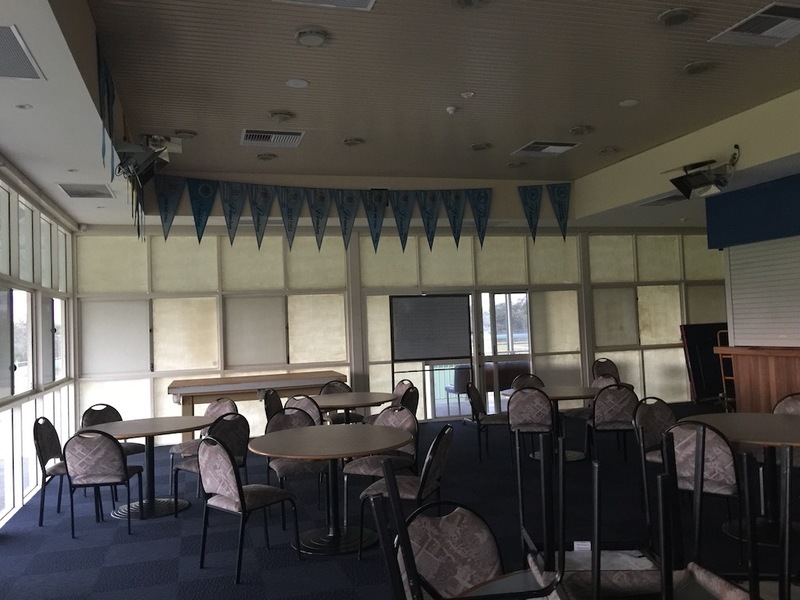 Committee members Peter Coombs, Daniel Coombs, and Paul Kalleske were pivotal in a hands on fashion to help repaint and scrub clean the clubhouse, which was now over fifteen years old and in need of some maintenance. New club signage and banners baring the logos of the Leeming Spartan Cricket Club and sponsors were among the other highly popular improvements made, and the place once again felt and looked like a cricket club. The 2016 Windup was one of the best in recent memory, with over 100 people filling the Spartan Clubhouse! On the field, we had a year of consolidation, especially within the First Grade, who had to rebuild a side due to a number of retirements and loss of personnel caused by workplace changes and relocations. Significantly, Coombs made the landmark decision not to lure players to the Club through financial incentives, and instead focus on the youth within Leeming Spartan to ensure that our position, both financially, and within the First Grade competition, were to be sound for years to come. Among the retirements were two of our best players over the past forty years. Mark Atkinson, and Matt Smith both retired from the First Grade. Mark went on to coach WACA grade club Rockingham-Mandurah to their first ever premiership, who remarkably chased down Mark’s former club of Perth’s total of 2/353 declared in the semi final. He then returned to Perth Cricket Club as bowling coach the following season in 2016. There were six hundreds scored across the grades and seventeen five-fors were taken, including a very impressive 7/20 by youngster Evan Robson. Importantly, the Fifth Grade won the Two-Day Premiership, whilst the One Day C’s were runners up. Ryan Buckley, our Durham import for the season, took home the Read/Waterer Medal for the Club’s Champion Player on the back of an outstanding season in the First Grade. Ryan took a record 31 wickets and scored 185 runs for the season. Ryan’s season also included a Five Wicket Haul at John Connell and incredibly, a hat-trick late in the season. Seventeen year old Adam Morgan won the Knox-Peden Young Spartan Award, on the back of a solid debut season as wicketkeeper in the First Grade, and for his regular attendance and efforts throughout the season. The Graeme Ashley Award for the Best Clubman was awarded to Daniel Coombs, following his significant and ongoing contributions to all areas in the Club during both the pre and regular season. Daniel became the youngest ever recipient of the award at the age of nineteen, having been the standout candidate for the honour on the back of his sensational work on the Committee throughout the season. Life Membership was awarded to Craig Pereira, one of the greatest clubmen and players to come out of the Leeming Spartan Junior Cricket Club. Craig’s longtime service had been duly recognised, and he is a well deserved inductee. The First Grade experienced a year of consolidation due to a large number of retirements, injuries, and changes in personnel. With over seven players from the previous season no longer at the Club, a group of the younger Spartans stood up and did a very creditable job to secure our First Grade status. The Club had never been relegated in its history, and particularly in this day and age, with sponsors, players and the like, it is more important than ever to field a side in the First Grade competition to ensure the Club’s wellbeing in seasons to come. Eleven players under twenty-four played in the top grade during the season, which augers well for the future of the Club. Soon to be Life Member Craig Pereira once again led the batting with 369 runs, with assistance from Mark Elvidge 275 runs (and 17 wickets) and Captain Paul Kalleske a very consistent 254. Pommie import Ryan Buckley led the bowling efforts and won the Read/Waterer Club Champion Award with 31 wickets and 185 runs and 12 catches. Ryan was an exceptional help with the younger players and proved to be a great recruit on and off the field. Chris Wright chimed in with a handy 15 wickets also. Young keeper Adam Morgan did well on the field and won the Best Club Junior award for his efforts on and off the field. Our second side suffered manpower wise, with most of the young players who would under other circumstances been playing twos cricket being elevated to the Firsts. Things began in poor fashion, with captain Glenn Hack sustaining a season ending broken thumb at training in November, and was replaced by Anthony McGhie. Dean Brown, with 223 runs, and McGhie, with 170, made the most contributions with the bat, whilst Sheamus Byrne was the standout with the ball, taking 21 wickets. Nathan King, Andrew Gibbs, and Sre Natarajan, were the others to make an impact with the ball, although none played a full season in the side. 3rd Grade (SMCA 5th Grade) – PREMIERS! It was yet another exceptional season by the Spartan 3rds. They backed up last season’s grand final defeat by going one better and getting revenge on the reigning champions East Fremantle, by obliterating them in the Grand Final, an outright victory. Lots of contributors helped maintain an even high standard throughout the season. Captain Dale Putland led the batting with 386 runs, with significant efforts also coming from Darrin Usher‘s 318, Ben Rushton‘s 317, Russell Lee‘s 296 and Shayne Hersey‘s 286 runs. Gavin Poller took 36 wickets, Andrew Gibbs took 33, and Rushton made the season a fantastic double in taking 22 wickets to go with his runs. As mentioned, the Spartan 3rds defeated the reigning premiers East Fremantle in the two-day final, getting revenge for their previous season’s grand final loss to the same opposition. East Fremantle won the toss and batted at their home ground of Preston Point. Incredibly, they could only manage 75 all out due to the fantastic bowling efforts of Gavin Poller 6/39 and Andrew Gibbs 3/22. We overtook the score but were all out for 115, with Shayne Hersey making 51. East Fremantle elected to bat again in an effort to force an outright victory and declared at 6/123. Shayne Hersey (40) and Russell Lee (36 not out) made sure there would be no hiccup. There was in fact an outright victory, albeit not the one East Fremantle had hoped for, as the Spartans chased the total down for the loss of three wickets. The Premiership Team (In Batting Order): S. Hersey, D. Woodward, R. Lee, D. Putland (Captain), D. Usher, K. Poller, A. Gibbs, B. Rushton, G. Poller, M. Poller, S. Murfitt. Unfortunately this side was short of experience as a number of senior players (including the originally appointed captain), who were anticipated to play in this grade for the season opted to leave the Club at its mercy by electing not to play in the side. Treasurer Geoff Burgess was fantastic in putting his hand up to captain the side for the rest of the season, and is to be commended. This left a number of exceptional clubmen to fill the positions, coming up from their typical sides in the lower one day grades. As SMCA rules dictate, the lowest side is the one to forfeit, meaning that without the help of these players, the One Day ‘F’s, who were on top of the ladder and eyeing off a finals birth, would have to forfeit their future matches in order to field the side. Of course, this led to a lot of heated discussion throughout the season, but all in all, the eleven Spartans who took to the field in the One Day ‘A’ competition are among the greatest this Club has witnessed, and the Club itself is indebted to them for their efforts. These players were playing in grades against opposition far above their own personal levels, and with most weeks ending in scores of under eighty, they were prepared to continue padding up for the Club. They battled manfully and did a great job for the Club by turning up and trying all season. Seb Quirk led the run list with 197, and Liam Whipp and Sean McGowan helped with the wickets. The One Day ‘B’s started the season well but ultimately lost their way as the year went on, losing games they would normally have been expected to win. There were some very good contributions with bat and ball, but unfortunately these did not come at the times required to secure victories. Josh Foster followed up his Club Champion Award last season with another great double of 416 runs and 31 wickets, whilst Michael Simpson (who finished third in the same award) also performed well in contributing 311 runs and 28 wickets. Matt Scarterfield scored 274 runs and Shannon Davies was another to get a good double, making 216 runs and taking 26 wickets. Others to share in the wickets were Andrew Ballantyne with 18 and Blake Carter with 17. The side played well during the season and were ultimately runners up to Piara Waters in the Grand Final. A consistent season all round led to a number of contributors with both bat and ball. They defeated Thornlie in the Semi Final, but couldn’t overcome Piara Waters in the last dance. Newcomer Jordan Jupp had a great season scoring 480 runs with two centuries. He was assisted by Captain Darren Hewson with 277 runs, another good season on the back of his association trophy the year before, and Clint Gandy and Reolan Naidoo both made 232 runs for the season each. Bowling honours were shared by Paul Popiel with 20 wickets, Jupp and Tom Vowles with 15 each, and Cale Millett‘s 13. A highlight was the 7/20 taken by new player Evan Robson. The old boys fell just short of finals action and finished a creditable fifth place. They produced a very even performance with the bat during the season. Peter Brown led the way with 307 (including a century), with assistance from Brad Mant with 266, Chris Edwards‘ 218 runs, Liam O’Neill‘s 210 and father Jay O’Neill‘s 205. Veteran Andrew Wragg starred with the ball in taking 24 wickets. Others among the wickets were Damian Halden with 12, and Edwards’ 10. An ever reliable side made up of mostly the Leeming Spartan older boys from years past, they had outperformed expectations. The side was a mixed group of father/son and younger/older players, with experienced Captain and Spartan leading games holder David Blight coming out of retirement to lead the side. They had a very good season all things considered, and were eventually defeated in the Semi Final by Thornlie. Tim Allan made a welcome return to the Club after missing a few years, coming back to the Spartans to play with son Nick. Nick Allan made 357 runs and took 12 wickets whilst Tim took 15 wickets. The evergreen Chris Rajandra had the best season performance with the ball, taking 24 wickets. Newcomers Matt McGuire scored 203 runs and Evan Robson took 20 wickets. Graeme Tysoe was a great help as a steadying influence and made 360 runs. Other young players were introduced to senior cricket over the course of the season, and will hopefully play up the grades for a number of years to come. 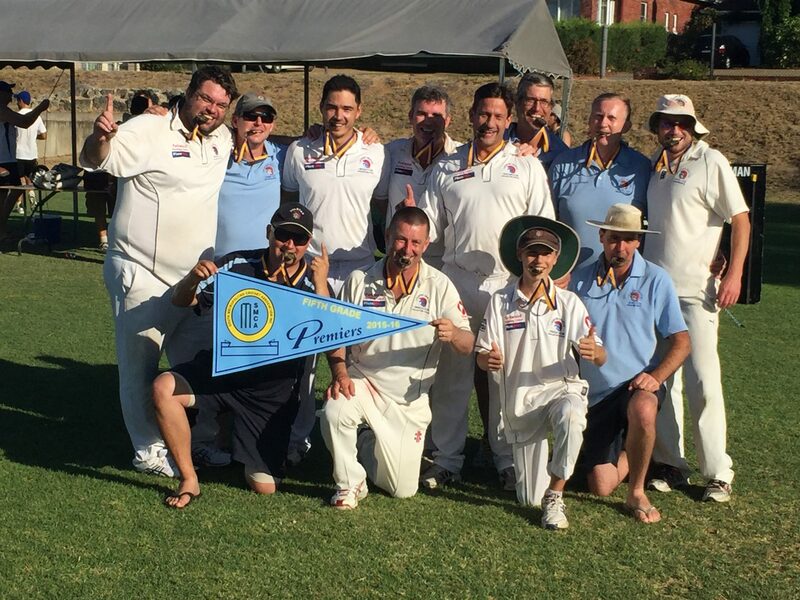 Overall, it proved to be a very solid season for the Club under a new President, with the Fifth Grade Two-Day Premiership and significant attendance increases the major highlights. It was certainly a year of consolidation and rebuilding in all the grades on the field, and although the First Grade just missed out on both the one-day and two-day finals (finishing fifth out of eight), they had comfortably assured their place in the competition. The biggest highlights came off the field, with a rejuvenated Club built over the months of 2015/16, thanks in no small part to Coombs and his Committee. 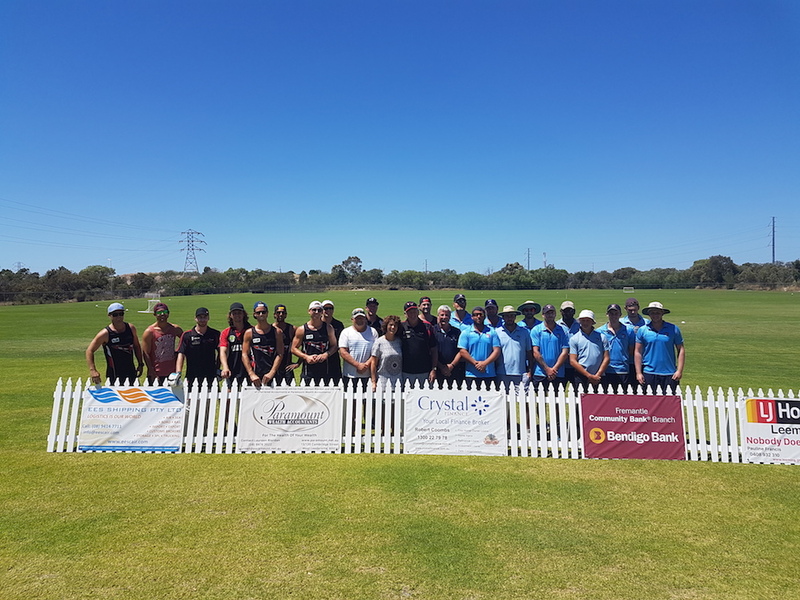 Major attendances on Thursday and Saturday nights, a variety of event and functions, and inter-club WinterT20s had taken the Leeming Spartan Cricket Club to new levels, financially, professionally, and in terms of enjoyment. 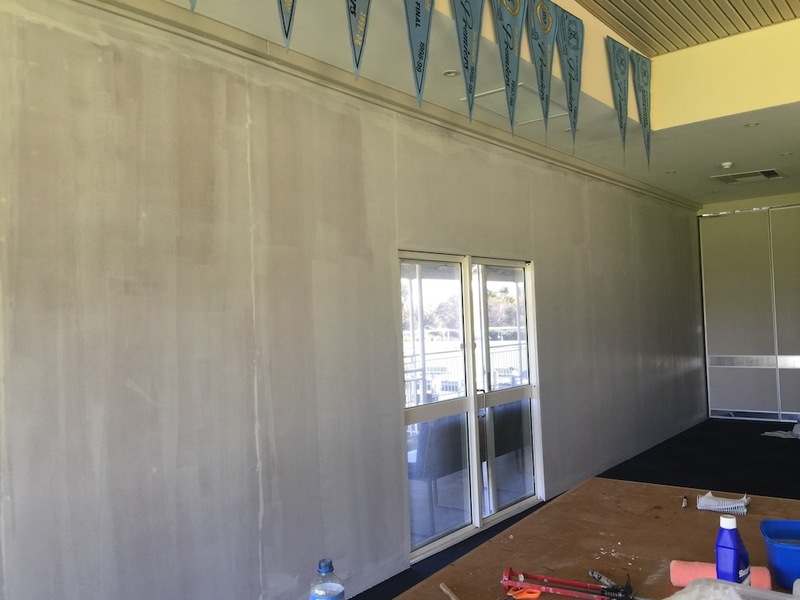 One of the more major renovations to the clubhouse occurred this season, with the construction of our hugely popular honour wall to house Spartan memorabilia being completed by Peter Coombs (pictured), Paul Kalleske and Daniel Coombs in October 2015. 2016/2017 Season – A President Returns! 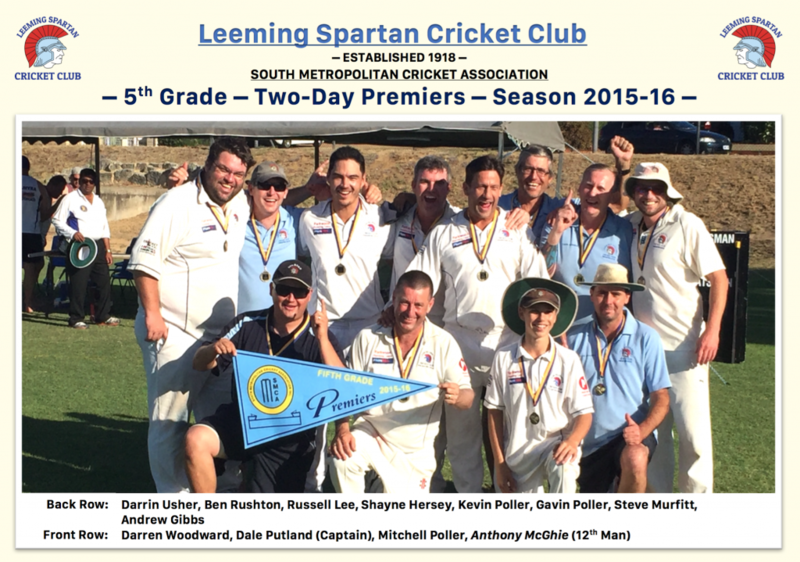 Peter Coombs returned for his second year as President of the Leeming Spartan Cricket Club in 2016, the first to do so since John Ipsen in 2009, and was met with a Spartan shuffle for the ages, as our First Grade snatched defeat from the jaws of victory in the two-day grand final! Despite the lack of Premierships, the 2016/17 was met with sensational performances on and off the field by a number of Spartans. The Club’s big three awards (the Best Club Person, Club Champion and Young Spartan awards respectively) were shared between four worthy winners, two of whom were aged under twenty one. Daniel Coombs won the Graeme Ashley Award for the Best Club Person for the second time in a row, becoming the first person since Peter Read in 1983 to have won the award consecutively, and by far the youngest to do so at the age of twenty. Graeme Tysoe was also inducted as a winner of the Best Club Person Award for his sensational work on the Committee and no-fuss attitude, never afraid to do what is asked, always ‘getting down to work’ when the hard yards had to be done. Callum Appleby became the second Durham import in as many years to claim one of the Club’s ‘Big Three’ awards, with Callum winning the newly renamed Knox-Peden Young Spartan Award on the back of an excellent season in First Grade and for his great efforts in helping the Committee and completing the line marking throughout the season. The Read/Waterer Club Champion Medal was awarded to Todd Gill for his remarkable debut season at the Leeming Spartan Cricket Club, which also saw him claim the Jim McKenna Medal as the Association’s best player. It was a sensational season for Todd, who was also hugely dedicated and supportive off the field, and he would have to rank as one of the best inclusions to the Spartans in recent seasons. Life Membership was duly awarded to Shannon Davies and Kevin Poller, Shannon having been one of the most dedicated clubmen of the modern era, and Kevin having been an outstanding player and captain for over two decades, making them both very well deserving inductees. 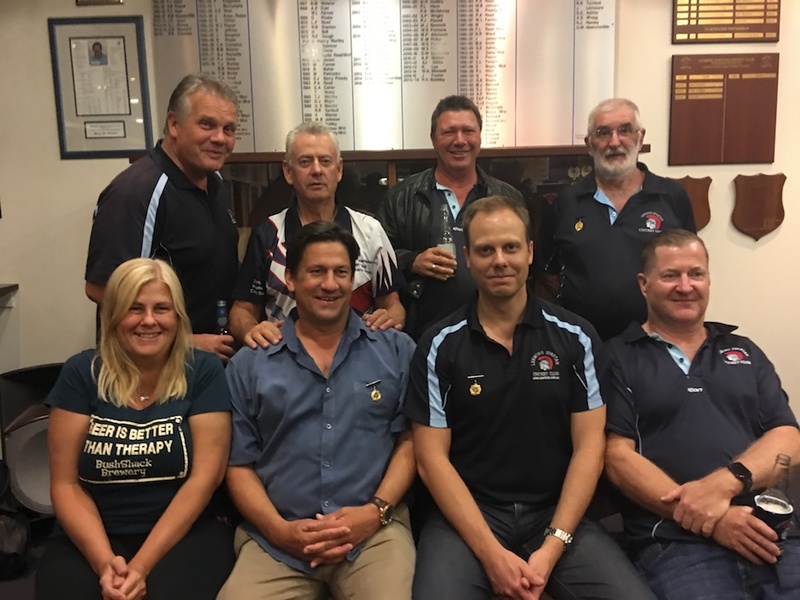 Our two newest Life Members, Kevin Poller and Shannon Davies (front row, centre) after their induction at our 2017 Windup with other Spartan Life Members. This season proved to be a remarkable yet somewhat unexpected one, which further expanded on the fantastic off-field efforts of 2015/16, and saw the First Grade make the Grand Final, when many believed that our rebuilding phase meant any such occurrence was still a few years off. Despite less than favourable results in the other six grades – none of whom made the finals – it was still a very enjoyable season for all players, with great turnouts at events, and an all-in-all ‘buoyant’ atmosphere made for a fantastic 2016/17. One of the many highlights this season came in the return of the Mitch Gillam Cup match against the neighbouring Bullcreek Leeming Amateur Football Club. 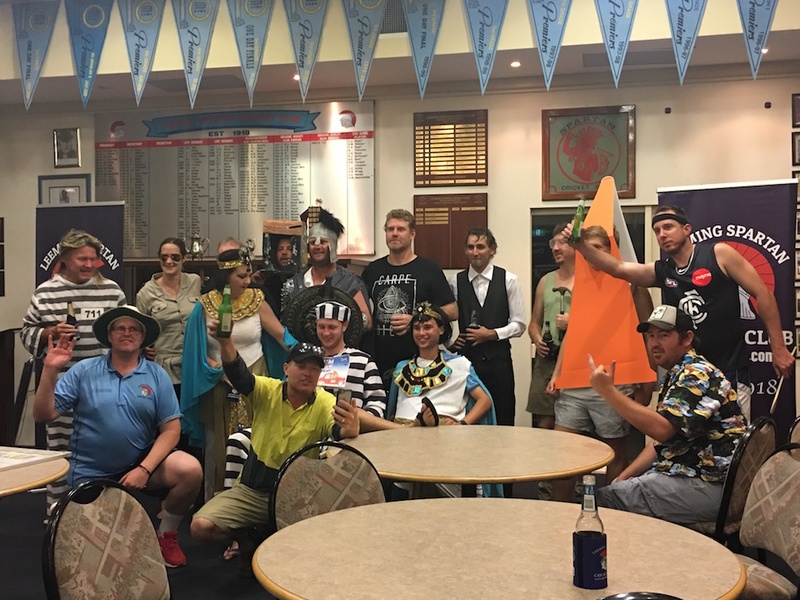 Another season highlight was the ‘Dress Up For Callum Night’ where players showed their support of our Durham import for the season (and Knox-Peden Young Spartan Award Winner), Callum Appleby, by dressing up in something starting with the letter ‘C’. By the time of the 2017 Annual General Meeting, the Club was well and truly back at the top of the association, and a great feeling of confidence was held by our members on the eve of our centenary. Peter Coombs returned for his third successive season as President, and made an immediate administration change to a longstanding tradition at the Club, by removing the positions of Senior and Junior Vice President, and replacing them with two equal positions of simply ‘Vice President’, with both Glenn Hack and Paul Kalleske returning to become the inaugural holders. Incumbent secretary, and recent Life Member inductee, Shannon Davies retired from the position at the completion of the previous season, and twenty year old Daniel Coombs took on the role for the first time, becoming the youngest Secretary in Leeming Spartan history. A number of returning and new Committee members also joined the ranks, and the team (in particular Coombs-plural, Kalleske, Treasurer Geoff Burgess and joint-reigning Best Club Person Graeme Tysoe) worked exceptionally hard in preparations for the incoming season, particularly with work towards ascertaining grants for both the Club in general and the centenary, and the initiation of major works, such as the development of a second oval on the John Connell Reserve. Coaching was also a primary focus this season, with the aim for all grades to be more than competitive, with a head coach appointed for the first time in five seasons, as Perth Cricket Club Life Member Nick Manifis took on the role. Supplementary coaches were also introduced for the first time in decades, with senior First Graders Marc Dodds and Peter Waite specialising in core areas, and assisting Nick. At the time of writing, it remains to be seen what effect these changes will have, but with three months to go until the first match, the Club is extremely confident of great on field success to match the off field success of recent seasons. 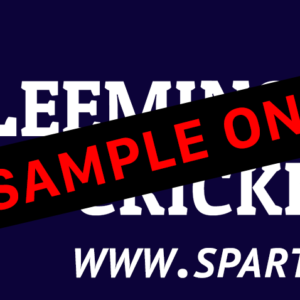 A special thank you to Graeme Ashley and Daniel Coombs for the countless hours they have spent in compiling the historical information regarding the Leeming Spartan Cricket Club during this chapter and preparing it for our website. These incredible efforts are part of what makes us the premier social sporting club south of the river. Adapted and updated with new content for the new Leeming Spartan Website in June 2017. Last updated in August 2017. The Spartan Threes celebrate a memorable two-day premiership in 2015/16, the first flag of this era.